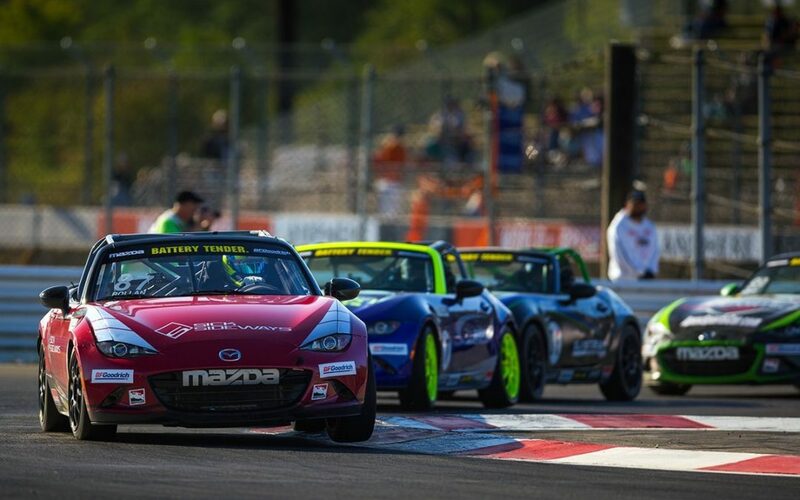 The Battery Tender Global Mazda MX-5 Cup Series was in Portland last weekend for their penultimate rounds of the season. A lot is up for grabs as the championship draws near. It was exciting to see first-time winner Luke Oxner, who has been in the series for three years and has done a great job of progressing. It’s always rewarding to see someone hone their skills and advance to the top step on the podium. There was plenty of excitement to go around, as we also saw the MRT-24 ladder driver Selin Rollan pick up his second win of the season in his rookie year. The series travels back to the East Coast at the end of the month, heading to Monticello Motorsports Club for the season finale. Mazda also announced that the annual Global Challenge will be in November at Sebring International Raceway during the IMSA Encore Weekend. There is $80,000 in cash prizes up for grabs! In other racing news, I was really proud of some coaching clients of mine who were racing at Road America this past weekend. They progressed through the weekend to grab class wins and podium honors. It’s always a satisfying feeling to come away from a race weekend with great results and clean race cars. This weekend is round nine of 10 in the IMSA Continental Tire Series. Britt Casey, Jr. and I are vying for the TCR championship in what we hope will be a successful weekend at WeatherTech Raceway Laguna Seca. You can tune in Saturday at 6:05 p.m. ET for the live race broadcast on IMSA.com or on the IMSA app.